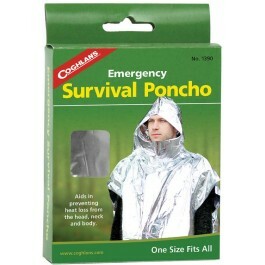 Coghlan's Emergency Survival Poncho is essential for any survival kit. Place it in your car, backpack, preppers bag, or your purse. 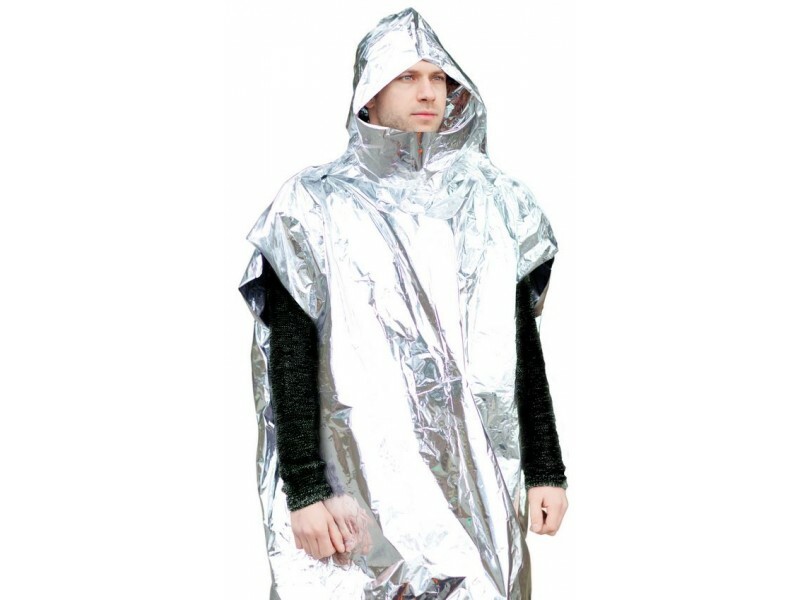 This emergency survival poncho can help reduce heat loss in situations where hypothermia is possible. It is made from a composite layering of polyethylene and metallized aluminum. 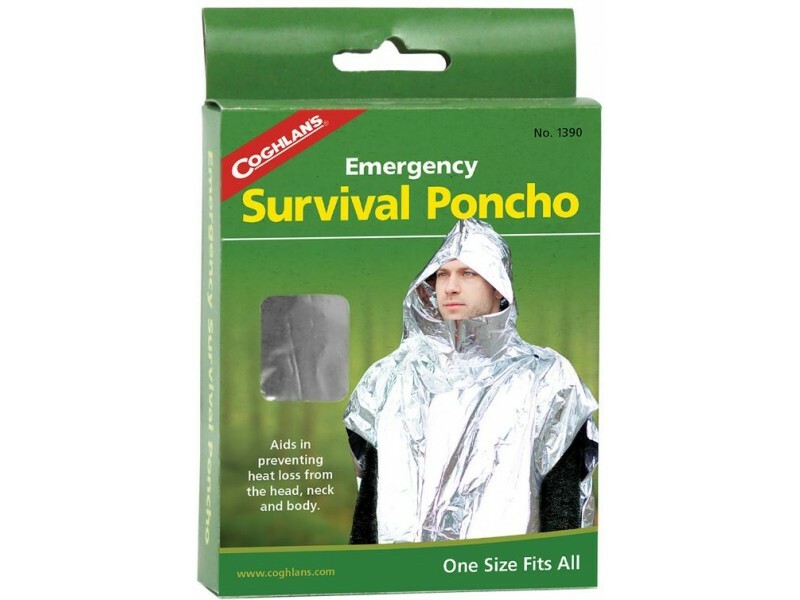 The Coghlan's Emergency Survival Poncho has a hood and reinforced seams in a rain poncho format to give maximum mobility in an emergency situation.